A couple of days ago, the members of the Performing Musicians Association of Nigeria held their election where the President and other top executives of the associations were elected. 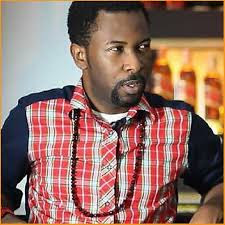 Pretty Okafor emerged President of the association while veteran rapper, Ruggedman, emerged the Chairman of media. “Why do they have soldiers around polling stations when they are having elections? For the fact that you need to elect somebody, it means it is a position of power. It automatically means that there is always someone that would want to oppose the election. There would always be someone who wants to stop it. So to be on the safe side, we just wanted to do it in a safe environment. If you check the pictures of the event, you would see that we had delegates from almost 24 states. So it was not only Pretty and his executives that were there and we held the election. Also, I think it was just the hotel security men that were there. Nobody carried guns,” he said. The rapper told Saturday Beats that it was laughable that people say Pretty is not qualified to be the president because he is not a performing musician. He said that what mattered was that he had something to offer the music body. “So because your father is old does not mean he is no longer your father. Do they want Wizkid or Davido to become PMAN president? To me, you don’t have to be an active musician to head PMAN. Is Buhari one of the soldiers fighting in Sambisa?